On Friday 23 November, tireless activist for the poor and marginalised, Paddy Kearney, died suddenly of a heart attack. Bishop Monument commissions Dean Isaiah Manqele as Vicar General of the Diocese while he is away. Masinakekelane Dress1child project is an initiative taken by the Dioceses Masinikekelane Social Development Agency to assist impoverished children who have the desire to go to school but, due to their financial circumstances, are not able to afford school uniforms. Rev S.M Sibiya of St Saviours Ndlangubo wants to help struggling school children and their parents. And he needs your help! Like every Muslim needs to do the Hajj pilgrimage to Mecca at least once in his/her lifetime, every Anglican needs to visit England at least once in his/her lifetime. 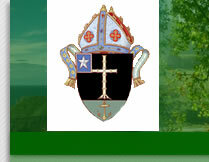 The new parish of St Matthews, Nkande, launches its church building project. Following a request from the Parish of Emmanuel (Mbazwana)‚ the Mseleni Hospital Mental Health Team put on an interesting talk in commemoration of Mental Health Awareness Month. Life skills training for learners at KwaNxusa High School in KwaMagwaza. The Diocese celebrated a very special Diocesan Family Day this year when His Majesty King Goodwill Zwelithini kaBhekuzulu was awarded the Order of St Michael & All Angels. The ladies of the St Mary Magdalene Guild held a retreat at Amatigulu from 1-3 March. Fr Michael Lapsley and colleagues from the Institute for the Healing of Memories held workshops with the clergy of the Diocese recently. Congratulations to Archdeacon Celakuye and Mrs Thembsie Mchunu on the occasion of their 36th Wedding Annivesary. There was much rejoicing on 7 November in the Cathedral when Bishop Dino installed Mr Thulasizwe Buthelezi as the new lay canon for the Phongolo Region. Family Day at St Augustine’s, Masotsheni, was a colourful affair with parishioners dressed in traditional garb enjoying music, dancing and good food. Diocesan Office staff enjoyed a lunch out to celebrate bookkeeper Tinky Robertson’s 70th birthday. Bishop Dino‚ together with members of St Augustine’s Parish and Molefe Tribal Authority‚ recently attended a presentation on the proposed Liberation Heritage Route. Parishioners of the Anglican Diocese of Zululand went on pilgrimage to the Holy Land in May. The Anglican Church of Southern Africa has started a carbon offset project which involves planting trees at churches, schools and other institutions. The ever vibrant, jubilant and inspired St Joseph’s Parish held its annual thanksgiving and fundraising event on 4 December. Archdeacon Ignatius Zwane was recently installed as the new Mothers Union chaplain by Bishop Dino. For the second time in less than a decade, the Diocese of Zululand was blessed with a visit from the Archbishop of Cape Town, the Most Revd Dr Thabo Makgoba. Cedrick Buthelezi and Lulama Dumisa took part in the Pilgrimage Course at Canterbury recently. Save Zimbabwe Now Archbishop Emeritus Desmond Tutu announced his intention of fasting in protest against the deadlock in Zimbabwe. Bishop of Zululand Dino Gabriel was among 560 Anglican bishops from around the world who gathered to attend the once-a-decade Lambeth Conference in Canterbury. Canon William Domeris was installed as the new rector of the College of the Transfiguration by Archbishop Thabo Makgoba on 21 September 2008. Bishop of the Highveld Right Revd David Beetge dies at age 59 on September 27 as a result of illness. Nominees for Bishop of the Highveld announced Canon Mark Long (pictured) is one of six clergy nominated to replace the late David Beetge as Bishop.